Another year started, and one of the most significant events in online gaming is already knocking on our door. Indeed, ICE Totally Gaming is back in London from 5th to 7th February. The show in the British capital is the best chance for providers to display their latest innovations. Indeed, with 30,00 visitors expected, it’s a one-off occasion to show your best. In fact, this year will probably be the busiest in the history of ICE, if we believe the rumours. So needless to say, the companies from the online gaming sector know that well, and they won’t let this chance go. Undoubtedly, Nolimit City is one of the most innovative casino games and software suppliers. Besides games, it also offers cloud, integration, promotion and back-office service. For over ten years it produces cutting-edge gaming content for major brands. Even if your product is market-leading, you cannot miss an opportunity like ICE. And so, visitors at ICE can expect all the latest perks from Nolimit City at stand N3-400. Everyone interested will have a chance to chat with one of the reps of the Swedish company. Or book a meeting with their specialists to familiarise with the latest perks on offer. 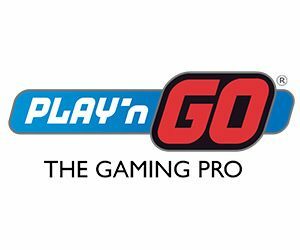 Similarly, Play’n GO also plans a massive display on the event. Actually, it’s supposed to be the company’s most prominent exhibition, so far. ICE is by many seen as “a driver of the B2B Gaming industry’s international growth”. And of course, Play’n GO will try to make the best of it. The company’s reps will try to capture the attention of guest at stand N3-460. All and all, the supplier will showcase its technology platform and back office tools, too. Also, guest can play its immersive games, join a tournament to win prizes. What’s more, you can do all that while sipping on one of their bespoke cocktails.